This cardamom and date cookie is kind of like an oatmeal raisin cookie and a chocolate chip cookie had a baby. My husband claims he doesn't like dates (WTF) and is terrified of cardamom so when he asked what kind of cookies these were I said, "The kind that happen when chocolate chip cookies and oatmeal raisin cookies have a baby." Intrigued, he grabbed one and took a bite. Now he keeps asking me to make more of my "weird baby cookies." It's sweet and chewy and it's a cookie. To make these cardamom and date cookies you obviously need dates, but not any old dates. Pitted and pressed baking dates are the way to go. You can find them in Middle Eastern markets or on amazon.com. 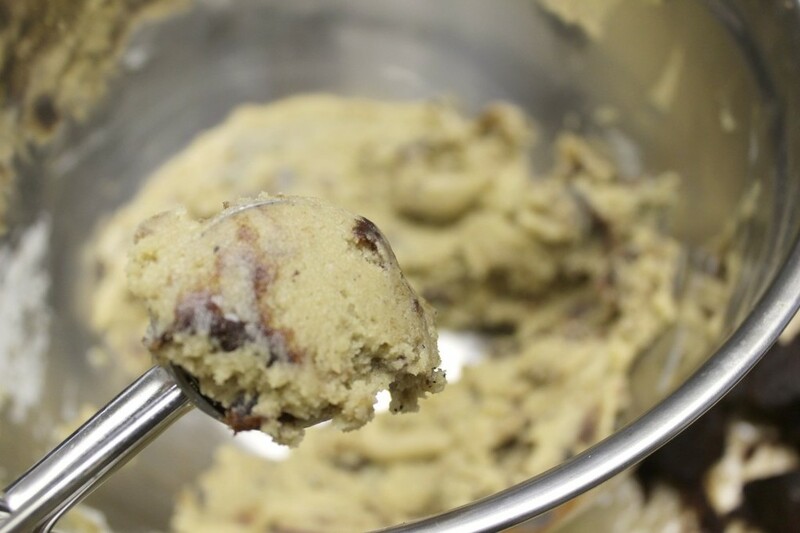 You could use whole dates and finely chop them, but you won't get the same consistency of swirled gooey dates in your cookies. Trust me on this one. 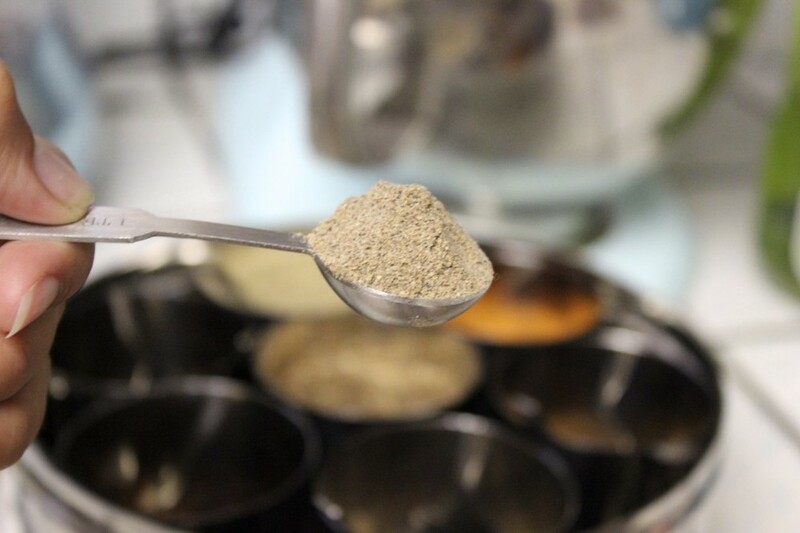 Next, you need a heaping teaspoon of cardamom, also known as "the queen of spices." 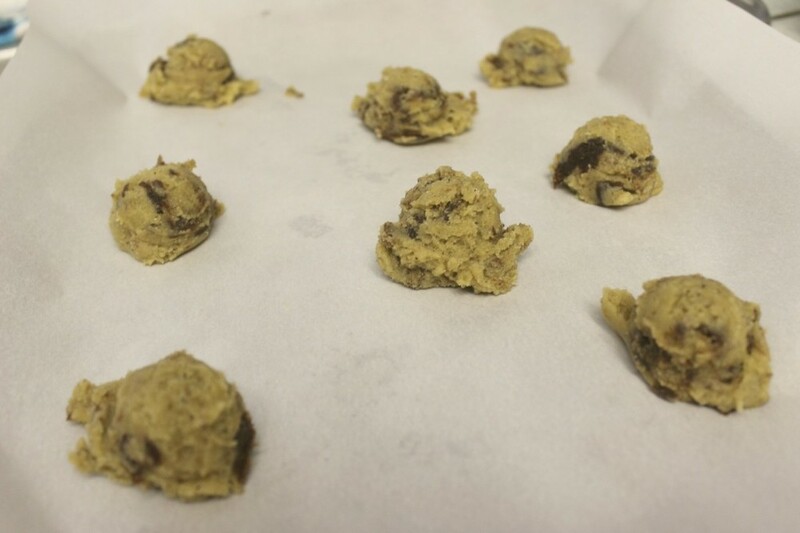 Quick tip, the keys to a chewy cookie are using melted butter and adding an additional egg yolk to the recipe. Keeping that in mind, you can adjust your favorite cookie recipe to make it chewier. You want to mix your wet and dry ingredients in separate bowls and then combine them. Now combine the wet and dry ingredients, cut up the dates and then break them into smaller chunks and add them to the dough. I added twice the amount of dates showed in the photo above. Then combine the dates into the dough until it gets swirly and the dates are evenly distributed. Scoop the cookies onto a baking sheet about 2 inches apart, bake them at 325F for about 12-15 minutes and then let the cookies cool on the baking sheet. Mix the flour, baking soda and salt together in a bowl. In another bowl, mix the melted butter and sugars together. 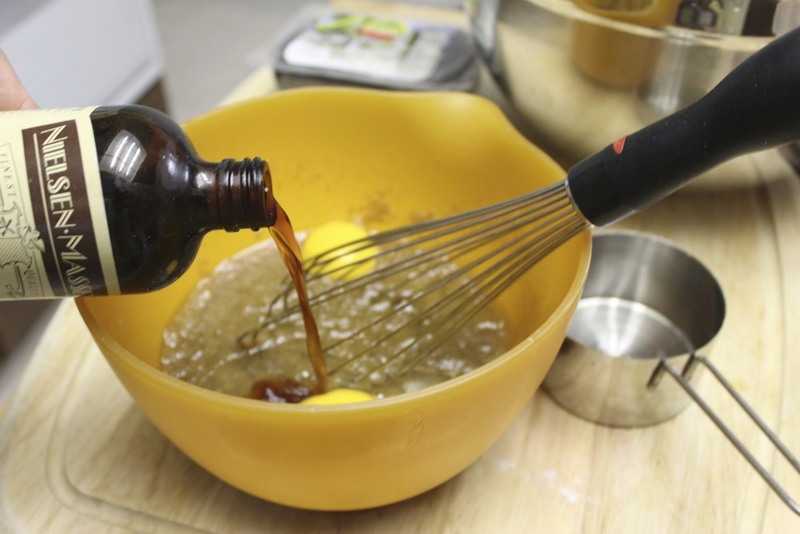 Add the eggs and vanilla extract to the sugar and butter mixture and whisk until combined. Finally, stir in the chucks of dates and the cardamom. Using a spoon, scoop the dough about 2 inches apart on a baking sheet. Bake for 12 to 15 minutes or until the edges of the cookies are golden brown and the centers still light and puffy. Remove from the oven at this point to ensure a chewy cookie. 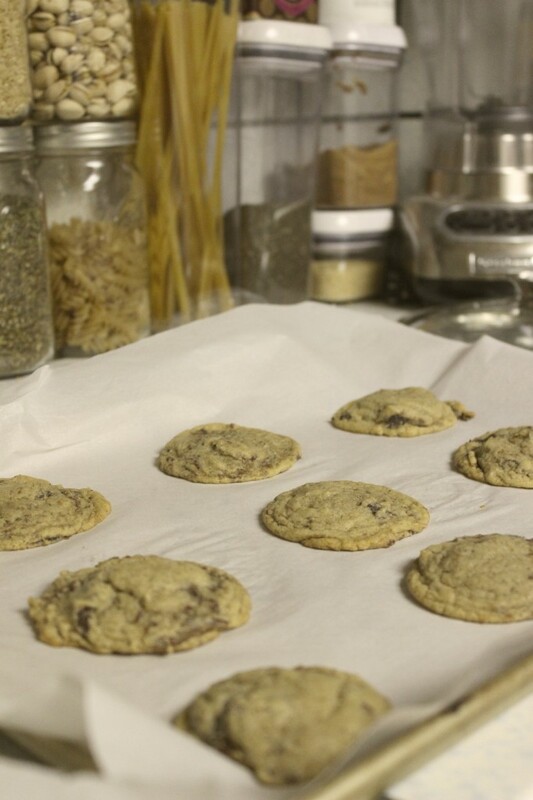 Allow the cookies to cool completely on the baking sheet, that way they continue to cook out of the oven without overcooking so that they have a chewy consistency.